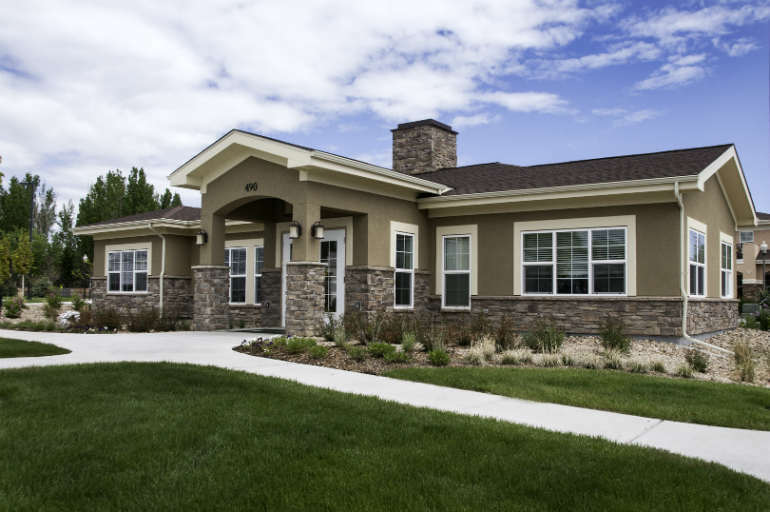 The Green House® Homes at Mirasol are Colorado's first Green House® community, created as the vision of the Loveland Housing Authority to offer skilled nursing care managed by our partner - Vivage Quality Health Partners - on the beautiful Mirasol Senior Community campus. The Green House Homes at Mirasol opened October 2014 and were developed in accordance with The Green House Project Model. The Green House® model, created by Dr. William Thomas, founder of The Eden Alternative®, is based on three fundamental core values: Meaningful Life, Empowered Staff and Real Home, offering long-term care that looks and feels like a real home.